This page turner is a truly original piece of work. 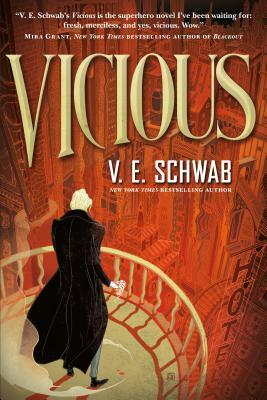 Every time I pick up a Schwab book I am transported to an entirely different world and I really feel like I am with the characters. This crazy, violent, and energizing novel is a unique mash up of The Secret History, X-Men, and Frankenstein. In the past, two college-aged best friends discover the strange link between near-death experiences and superhuman powers. In the present, the two are mortal enemies, each bent on tracking down and destroying the other. Uncovering how they got from one to the other is a gritty, violent, expertly paced thrill-ride. You won't be able to put this one down.